TUCSON, AZ (Tucson News Now) - A new shuttle service and improvements are in the works for the Sabino Canyon Recreation Area. 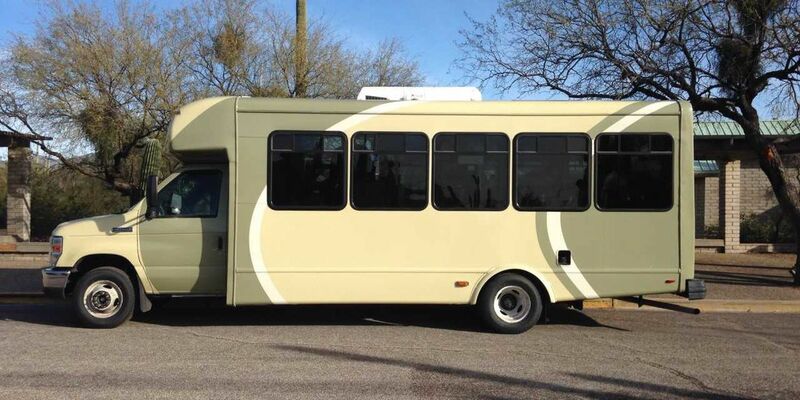 Tucson-based nonprofit, Regional Partnering Center (RPC) has been granted a permit to implement a new shuttle service at the popular destination. At first, RPC will bring in six 21-passenger gas-powered vans for a temporary fix. The company will debut electric shuttles in the summer of 2019. The Forest Service did not specify when the vans would go into service. The problem began June 30, when the old shuttle operator’s permit expired. The Forest Service had said the area could be without a shuttle for months. The Forest Service has said the following will have to happen before the vans start moving. The vans will service park guests as RPC transitions to a new fully electric shuttle system, which will be in operation by summer 2019. RPC has ordered the electric shuttles from Trams International, with Tucson Electric Power helping to finance the purchase. Also during the transition, RPC will introduce a web-based ticketing system for purchasing tickets online. Tickets may also be purchased on site at the ticket booth. RPC’s zero-emission electric shuttles will carry passengers safely, quietly, and efficiently through Sabino and Bear Canyons, which attract approximately one million visitors annually. The open-air, 62-passenger electric shuttles will be equipped with an electronic fare payment system, an audio narration system and a multilingual interpretive system accessed through the use of audio jacks and headsets. RPC has entered into a partnership with Total Transit Enterprises (Total Ride), which operates the Regional Transportation Authority’s Sun Shuttle. Aside from the new shuttle, there are several improvements set for the park. Development and implementation of a website and online ticketing options. Improvements to Shuttle Stop 9, which will be conducted in conjunction with the Friends of Sabino Canyon. Construction of a new shuttle stop and ticketing kiosk near the overflow trailhead parking lot west of the visitor center. “The Regional Partnering Center is working diligently with the Forest Service to ramp up transitional services as soon as possible,” said Farhad Moghimi, Secretary of RPC.